The fourth stage of the Way of St. James Pilgrim Route. This is fourth stage in the legendary Way of St. James Pilgrim Route – one of the most famous pilgrimages in all of Christianity – and can be walked in either 6 or 7 days depending on the length of walk you wish to do. 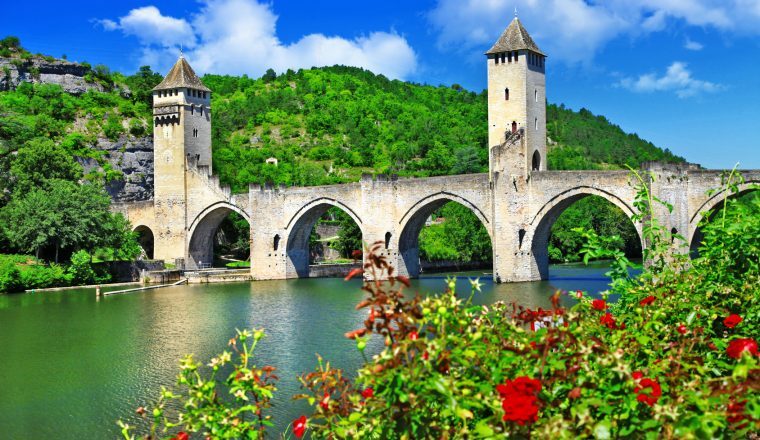 Day 2: Cahors – Lascabanes (23km/14.3 miles) or to Montcuq, 31 km/19.4 miles. We finally leave the Lot Valley that we have been following on and off since Espalion, and head more directly south. Meanwhile, we scale the slopes above the river by means of steps and rungs (height difference of 200m); then the route stretches away across the fertile Quercy Blanc (a name derived from its chalky soil) to Montcuq and its distinctive fortress. Altitude at arrival: 175m/577ft. 31 kms/19.4 miles. 7 hours 45. Montcuq – Durfort Lacapelette, 25.7 km/16 miles. Continue across Quercy to Lot and Garonne. We pass our first ‘bastide’ (fortified town), Lauzerte, isolated on its pinnacle (a worthwhile 2 km/1.25 mile detour) and, enjoying the pretty architecture of the region, head on to Durfort. Altitude at arrival: 206m/680ft. 25.7 kms/16 miles. 6 hours 30. Durfort – Moissac, 14 km/8.75 miles. 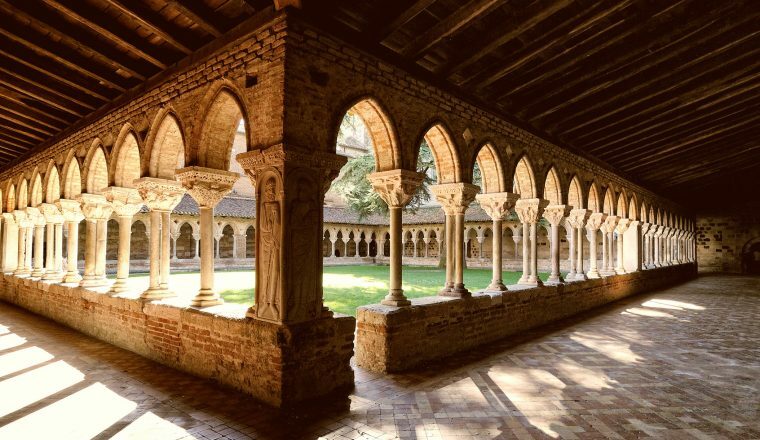 A short walk across fields and orchards bring us swiftly to Moissac, a lovely town on the banks of the Tarn that has always been an important halt on the Way of St. James. As well as the historic centre, it is worth having a look at the Canal Bridge, where the Garonne canal spans the river. Altitude at arrival: 76m/251ft. 14 kms/8.75 miles. 3 hours 30. Day 5: Moissac – Auvillar, 19.2 km/12 miles. Altitude at departure: 76m/251 ft. Our route today follows the canal towpath for the most part – a relaxing, tranquil day (unless you decide to take the higher path along the slopes above). Cross the bridge at Pommevic and head south to Auvillar. Altitude at arrival: 108m/356ft.19.2 kms/12 miles. 4 hours 45. 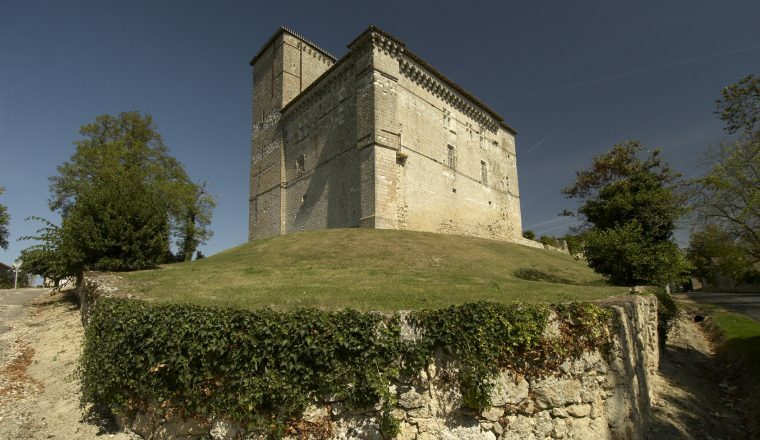 Soon we enter the Gers – pass Flamarens and its old castle to arrive in Miradoux, the oldest bastide in the Gers. Continue to Castet Arrouy, where you have a choice of routes – the more direct route or the old route via Avit Frandat (191m/630ft). Day 8: End of the trip after breakfast. NB: This section can be walked in 6 nights/7 days by omitting the night in Miradoux and walking the two sections to Lectoure – 31km/20 miles 8 hours walk.